REWARD FOR EFFORT (AUS) (Bay 2006-Stud 2011). 4 wins-2 at 2, MRC Blue Diamond S., Gr.1. Sire of 302 rnrs, 176 wnrs, inc. SW Gold Symphony (MRC Vain S., Gr.3), Ability, Brugal Reward, Take Pride, Blondie, Dalradian, Desert Lashes, SP Gratwick, Jumbo Luck, Tuff Bickie, Fancy Rumble, Sheriff John Stone and of Effortless Reward, Hell of an Effort - D'Great Effort (Mal. ), Jevilla, Montana Star - Star Superior (H.K. ), Petite's Reward, Copy Boy, etc. Cool Diva (f. by Ice Point). 5 wins to 1400m, A$133,111, MRC Mistress Anne H., Cove Hotel H., Leica Show H., 2d MRC Captain Gerrard Series Final H., Betfair H., 3d MRC Nunkalowe H., SAJC Sportingbet H.
Hermes (g. by Flying Spur). 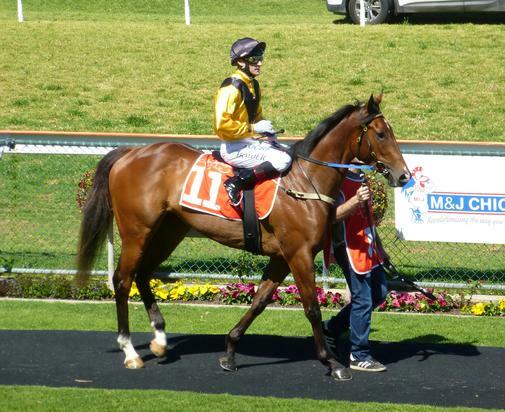 2 wins at 1150m, 1200m, MVRC Caravan Industry P.
Olsson (g. by Magnus). 2 wins at 1000m, 1200m to 2016-17, 2d BRC Sky Thoroughbred Central H., 3d BRC Gallopers Sports Club H., SCTC Proliquor P.
Mish Mosh (f. by Magnus). Winner at 2, 2d MRC (Mornington) Peninsula Cup Day H.
Redoute's Roses (g. by Redoute's Choice). Winner at 1400m, 3d MVRC Jayco Dealers 2YO P., FRH Group H.
Sahara Star (g. by Desert Sun). 2 wins at 1200m in Aust. Bella Ricompensa (f. by Reward for Effort). Winner at 1150m in 2017-18 in Aust. VIVA LA DIVA (Barathea). Winner. See above. Rockefeller. 5 wins at 1000m, A$88,660, VATC Future H., HMAS Sydney H., 2d QTC Show H., Mainbrace Constuctions H., Pacific Prince H., Lord Penn Welter H., VATC Beau Gem H., 3d VRC Alitalia Airlines Sprint, 4th QTC Lightning H., L.
Just Amazing. 3 wins from 1600m to 2000m in Malaysia and Singapore, Singapore TC Kranji C S., 2d Singapore TC Benchmark 70 H., Class 4 H.-twice, 3d Singapore TC Benchmark 70 H., Benchmark 81 H., Benchmark 82 H.
RIVA DIVA (Raise a Cup). 5 wins. See above. Ken's Regards. 4 wins from 1000m to 1600m, STC Meeting Industry Association H., 2d QTC Fosters Stubbies H., STC Truscotts H., 3d QTC XXXX Lite H. Sire. Boulevard (Success Express). Winner at 1200m, 2d STC Silver Slipper S., Gr.2, 3d STC Glade Manufacturing 2YO H., AJC Cabramatta Inn H., 4th STC Reisling Slipper Trial S., Gr.2. Producer. TISSERAND (Nadjar). Head on The 1990 Italian 4YO+ Free H. 13 wins-2 at 2-from 1800m to 2400m, Derby Italiano, Gr.1, Rome Premio Presidente della Repubblica, Gr.1, Gran Premio di Milano, Gr.1, Milan Premio Ambrosiano, Gr.3, Rome Premio Botticelli, L, Premio Conte Felice Scheibler, L, Premio Fiuggi, L, 2d Gran Premio di Milano, Gr.1-twice, 3d Rome Premio Presidente della Repubblica, Gr.1. Sire. MAGIC PETRIOLO (Bound for Honour). 2 wins-1 at 2-at 2000m, Rome Premio Botticelli, L.
THOMPSON ROUGE (Machiavellian). 6 wins-1 at 2-from 1600m to 2400m, €114,534, US$65,600, 17,000,007L. in France, U.S.A., Italy and Brazil, Cidade Jardim G.P. Presidente Rafael A Paes de Barros, Gr.2, Longchamp Prix de Courcelles, L, Cidade Jardim Prova Especial Clackson, Milan Premio Udine, 2d Longchamp Prix du Conseil de Paris, Gr.2, 3d Taruma G.P. Parana, Gr.1, Longchamp Prix Hocquart, Gr.2, Cidade Jardim G.P. Criadores e Proprietarios de Cavalos de Corrida de Sao Paulo, Gr.3. Sire. THOMIRE (Be My Chief). 13 wins-1 at 2-from 1400m to 2200m, Milan Premio del Piazzale, L, 2d Rome Premio Parioli, Gr.1. TREMOTO (Generous). Champion Older Female Stayer in Italy in 2009. 3 wins-1 at 2-at 1600m, 2000m, €168,233, Rome Premio Archidamia, L, 2d Milan Premio FIA European Breeder Fund, L. Producer.